Hi, I’m Lee Robert McStein – I’m a photogrammetrist and Technical Director of Monument Men. We’re a digital heritage consultancy specialising in photogrammetry and 3D printed reproductions for museums, archaeologists and heritage sites. 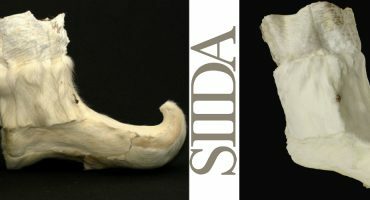 My work is primarily focused on using photogrammetry to capture artefacts and subjects related to cultural heritage, and using these scans for display via Sketchfab, and 3D printing physical reproductions for handling and engagement. Exciting enough as that is, every now and then a particular challenge or opportunity comes up that really amazes me, and this piece is no exception! The colossal statue fragment of Ramesses II, known as the ‘Younger Memnon’ in the British Museum is by far one of my favourite Egyptological artefacts in the world and always captivates me whenever I look at it. Sketchfab seemed the perfect home for a 3D scan of this, now seen by thousands of people and continuing to inspire those who may not have visited the British Museum, or indeed its ancestral home in Egypt. This was scanned in 2015, way back when I first started out myself with photogrammetry and my first visit to Egypt, so I was well inspired! I had seen the remaining piece of the statue on site in the Ramesseum on a number of occasions, and photographed it in 2016 to make a photogrammetry dataset. As with any photogrammetry I do in Egypt – my equipment for the shoot was very basic – consisting of a Nikon Coolpix P900 and a mobile phone to view and remote control it. To photograph the upper section of the statue, I used a large window cleaning pole bought from my local Aldi which I modified using an additional 3D printed fitting to accommodate the camera from the screw fitting at the top of the pole. I took around 190 images for the dataset, processing them via 3DF Zephyr. Another image from the dataset – unfortunately capturing the camera pole too! One of the most exciting things to come straight out of the initial scan was a piece of graffiti on the rear of the statue. This was left by the circus strongman come adventurer Giovanni Battista Belzoni, famously responsible for transporting the Younger Memnon from the floor of the Ramesseum to the Nile and then on to London. He recorded his graffiti on the lower section and dated it to 1816, almost to mark the occasion. I couldn’t resist taking the graffiti and preparing a life-sized replica for 3D printing. As excited as I was with the completed lower section scan, the completed scan sat idle on my computer, until the Cultural Heritage Remix Challenge came up. I thought it would be the ideal opportunity to make a proper effort at uniting the two and creating the first 3D reconstruction of the piece. I already had a decent scan of my own, so I uploaded my own scan fairly quickly and then got to work on the unified model. I downloaded the British Museum’s model and set to work digitally cutting it off the base using Meshmixer, using the plane cut to remove the lower base, and the polygon selector to remove the cement sections just below the break point. All that was then left to do was join the two pieces together and unite them, prior to uploading them to Sketchfab for the challenge. Moving and rotating the pieces around, and finding a consistent scale was a little tricky to do in Meshmixer, but eventually the piece came together. Unfortunately, Meshmixer doesn’t have a direct exporter to Sketchfab so I had to export this as an OBJ file and then upload it in the ‘old school’ way. Once uploaded, I added a clay matcap texture and then added post processing filters. My usual recommendations for filters are SSAO, Tone Mapping (Reinhard or Linear dependent on the subject), Colour Balance and my all-time favourite, sharpness! It’s worth experimenting with the sharpness feature to enhance the capture, but not to push it too high that it looks unnatural. Settings I used for the display – it’s well worth experimenting to find your own preferred blend! And so it was complete – I was really happy to have the ‘Complete Younger Memnon’ finished and up for viewing/download. One thing was missing however. Though I’d got some great reception from people across both the Sketchfab community and in Egyptology at large, I still hadn’t found a way to truly celebrate creating the model. I sent the file over to my colleagues at Fab Lab Warrington who printed me a couple of ‘Complete Younger Memnon’ models. On Monday I was passing through London so contacted the lovely Jennifer Wexler of the British Museum’s Digital Projects Team, and Anna Garnett – curator at the Petrie Museum of Archaeology, who produced the British Museum’s Objects in Focus book on the Younger Memnon a few years ago. Two very fitting recipients for a 3D print of this fantastic piece! Even if you think you have enough photos and don’t wish to do that last revolution around your subject, do it anyway! With the lower section of the Younger Memnon, I was working with a piece that was thousands of miles (plus an expensive flight) away. I’ve had other scans in Egypt that have left me kicking myself for not getting enough photos, so always aim for more rather than less! Don’t worry about having to sift through your photos for quality/blur/etc either – features like 3DF Zephyrs Image Quality Index Utility have been a lifesaver for me in saving me the effort of manually going through hundreds of images and discarding/deleting those which won’t work for a scan. If you are visiting a cultural heritage site and are planning on capturing some photogrammetry datasets, please don’t rush yourself. A quick stop on a tour may occasionally produce some brilliant results but if you can, take an afternoon or even dedicate a whole day to visiting a site. You won’t feel pressured to grab your dataset, not to mention you will be less likely to make mistakes. Most importantly, you’ll actually have the time to experience the site itself, as opposed to rushing round photographing things. This happens all the time in Egypt and it’s a tragedy more people don’t take enough time to ‘soak up’ a site. Recording a site/subject is wonderful, but it’s very difficult to put it into its true context if you haven’t appreciated it properly. Like it or not – this takes time, and the return on investing that time is often enormous. If I could have revisited the Younger Memnon reconstruction again, the very first thing I would have done is planned exactly how I would go about scaling this. Most museum pieces have accurate measurements recorded as part of their cataloguing system, but generally, cultural heritage sites do not. Anything you can take with you to indicate scale is useful, whether a ruler, scale bar or a tape measure. This will come in very useful later when scaling a model for reconstruction, not to mention producing an accurate 3D print. Uniform scaling is a beautiful thing, and programs like Meshmixer and slicing software for 3D printing do it very well. 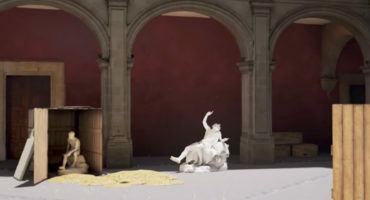 Photogrammetry and its potential uses for reproductions and enabling large scale reconstructions are amazing, but without the celebratory aspect of what we do, there is a real danger that it can become little more than a production line. Ensuring you take some time and resources to celebrate this is crucially important not only your own wellbeing, but for others to see and experience just what you have achieved too. Share the news and the results with others, and you’ll appreciate what you have done far more. Now, if you’re considering getting into photogrammetry, the best advice I can offer is ‘start now, don’t hesitate!’ It is now more accessible than ever before to get into. Provided you have a smartphone and a computer, you likely have all the equipment you need, with software like 3DF Zephyr Free, Blender and Meshmixer great starting tools to get into photogrammetry. There are plenty of resources out there to help you get started too, but experimentation and practice are crucial to learning. Nobody is an ‘armchair photogrammetrist’; you have to get some scans behind you and prepare to fail too as its an important part of the learning process. 3D scanning is definitely one of the most exciting places to be in Cultural Heritage right now. 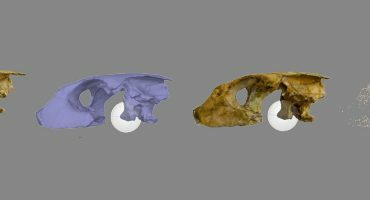 Some of my recent work with the Ancient Egyptian Animal Bio Bank has revealed some really exciting potential to blend photogrammetry data with volume renders from CT scanning, and also the potential for virtual handling via haptic feedback systems. I’m sure you’ll see more on that very soon! Feel free to check out our work via our Sketchfab profile or via Twitter @Monument_Men – I’m always happy to answer questions, so feel free to get in touch! Digital heritage consultancy, specialising in photogrammetry, 3D printing & reproduction for cultural heritage projects. We also provide training and ongoing support to community and CH orgs from voluntary to postgrad. Thanks for sharing us this great work! The 3D technology is very helpful for recreating ancient monuments like the Younger Memnon.